John Frederick Milius is an American screenwriter, director, and producer of motion pictures. He was one of the writers for the first two Dirty Harry films, received an Academy Award nomination as screenwriter of Apocalypse Now, and wrote and directed The Wind and the Lion, Conan the Barbarian and Red Dawn. He wrote a number of iconic film lines such as "Charlie don't surf" and "I love the smell of napalm in the morning," from Apocalypse Now, and the famous Dirty Harry one-liners delivered by Clint Eastwood, including "Go ahead, make my day" and "Ask yourself one question, 'do I feel lucky?' Well, do you, punk?". Milius also wrote the USS Indianapolis monologue in the film Jaws; the sequence performed by Robert Shaw. After his work on Rough Riders (1997), Milius became an instrumental force in lobbying Congress to award President Theodore Roosevelt the Medal of Honor (posthumously), for acts of conspicuous gallantry while in combat on San Juan Hill. Milius made two films featuring Roosevelt: The Wind and the Lion (where he was played by Brian Keith) and the made-for-TV film Rough Riders (where Tom Berenger took the role). The character of John Milner from the 1973 George Lucas film American Graffiti was inspired by Milius, who was a good friend of Lucas while they were at USC film school. Likewise, the character Walter Sobchak in the 1998 film The Big Lebowski, made by his friends the Coen Brothers, was partly based on Milius. The novella "Blind Jozef Pronek and Dead Souls" by Aleksandar Hemon features an episode with Milius, who is described as "sitting at a desk sucking on a cigar as long as a walking stick." In 2013 a documentary about his life, titled Milius, was released. 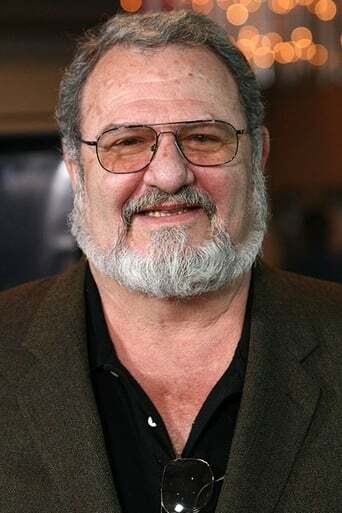 Writer Nat Segaloff called Milius: "The best writer of the so-called USC Mafia, a tight-knit group that resuscitated—some say homogenised American cinema in the 1970s... Raised on Ford, Hawks, Lean and Kurosawa, shaped by filmmakers as disparate as Fellini and Delmer Daves, Milius favours history books over comic books, character over special effects, and heroes with roots in reality, time, place and customs. Milius' stories reflect his own deeply held ethic, which embraces the values of tradition, adventure, spiritualism, honour and an intense loyalty to friends... Although he privately chafes at his public image as a gun-toting, liberal baiting provocateur, he allows himself to be painted as such, at times even holding the brush. He plays the Hollywood game like a pro, yet sticks to his own rules; he is a romantic filmmaker who avoids love scenes; his movies contain violence, yet no death in them is without meaning." Milius himself once said: "Never compromise excellence. To write for someone else is the biggest mistake that any writer makes. You should be your biggest competitor, your biggest critic, your biggest fan, because you don’t know what anybody else thinks. How arrogant it is to assume that you know the market, that you know what’s popular today [...] Write what you want to see. Because if you don’t, you’re not going to have any true passion in it, and it’s not going to be done with any true artistry." John Frederick Milius is an American screenwriter, director, and producer of motion pictures. He was one of the writers for the first two Dirty Harry films, received an Academy Award nomination as screenwriter of Apocalypse Now, and wrote and directed The Wind and the Lion, Conan the Barbarian and Red Dawn. He wrote a number of iconic film lines such as "Charlie don't surf" and "I love the smell of napalm in the morning," from Apocalypse Now, and the famous Dirty Harry one-liners delivered by Clint Eastwood, including "Go ahead, make my day" and "Ask yourself one question, 'do I feel lucky?' Well, do you, punk?". Milius also wrote the USS Indianapolis monologue in the film Jaws; the sequence performed by Robert Shaw. After his work on Rough Riders (1997), Milius became an instrumental force in lobbying Congress to award President Theodore Roosevelt the Medal of Honor (posthumously), for acts of conspicuous gallantry while in combat on San Juan Hill. Milius made two films featuring Roosevelt: The Wind and the Lion (where he was played by Brian Keith) and the made-for-TV film Rough Riders (where Tom Berenger took the role). The character of John Milner from the 1973 George Lucas film American Graffiti was inspired by Milius, who was a good friend of Lucas while they were at USC film school. Likewise, the character Walter Sobchak in the 1998 film The Big Lebowski, made by his friends the Coen Brothers, was partly based on Milius. The novella "Blind Jozef Pronek and Dead Souls" by Aleksandar Hemon features an episode with Milius, who is described as "sitting at a desk sucking on a cigar as long as a walking stick." "The best writer of the so-called USC Mafia, a tight-knit group that resuscitated—some say homogenised American cinema in the 1970s... Raised on Ford, Hawks, Lean and Kurosawa, shaped by filmmakers as disparate as Fellini and Delmer Daves, Milius favours history books over comic books, character over special effects, and heroes with roots in reality, time, place and customs. Milius' stories reflect his own deeply held ethic, which embraces the values of tradition, adventure, spiritualism, honour and an intense loyalty to friends... Although he privately chafes at his public image as a gun-toting, liberal baiting provocateur, he allows himself to be painted as such, at times even holding the brush. He plays the Hollywood game like a pro, yet sticks to his own rules; he is a romantic filmmaker who avoids love scenes; his movies contain violence, yet no death in them is without meaning." "Never compromise excellence. To write for someone else is the biggest mistake that any writer makes. You should be your biggest competitor, your biggest critic, your biggest fan, because you don’t know what anybody else thinks. How arrogant it is to assume that you know the market, that you know what’s popular today [...] Write what you want to see. Because if you don’t, you’re not going to have any true passion in it, and it’s not going to be done with any true artistry."